In this delicious, tender vegan olive oil brioche, aquafaba stands in for the eggs. The texture is light, feathery, and with a tight crumb, exactly the way a brioche is meant to be. There is something rather addictive about a brioche: a goodness so subtle, it makes me wonder if the guy or gal who uttered the phrase “je ne sais quoi” for the first time ever was tucking into a brioche at the time. This rather hallowed French bread has a light but close-knit, almost feathery, crumb, an elegant, barely-there sweetness, and a flaky, golden crust that melts in your mouth. To say that to eat a brioche is to fall in love with this bread would be understating it, but I am going to say it anyway. I have baked many a brioche in my day, and the traditional recipe uses a ton of butter and eggs to get that incredible texture and flavor. A few years back, I shared with you on this blog my recipe for an Avocado Brioche: a healthier way to have your brioche and eat it too. It’s a fantastic bread that I make over and over. My Vegan Olive Oil Brioche with Aquafaba is a must-try if you love baking, but I’ll warn you at the start that it is a labor of love. The bread needs two rises, as all brioches do, and the process of kneading the olive oil into the flour is a pain royale. But how else are you going to feel like the accomplished, get-your-hands-dirty-and-flour-all-over-your-hair baker that you really are? 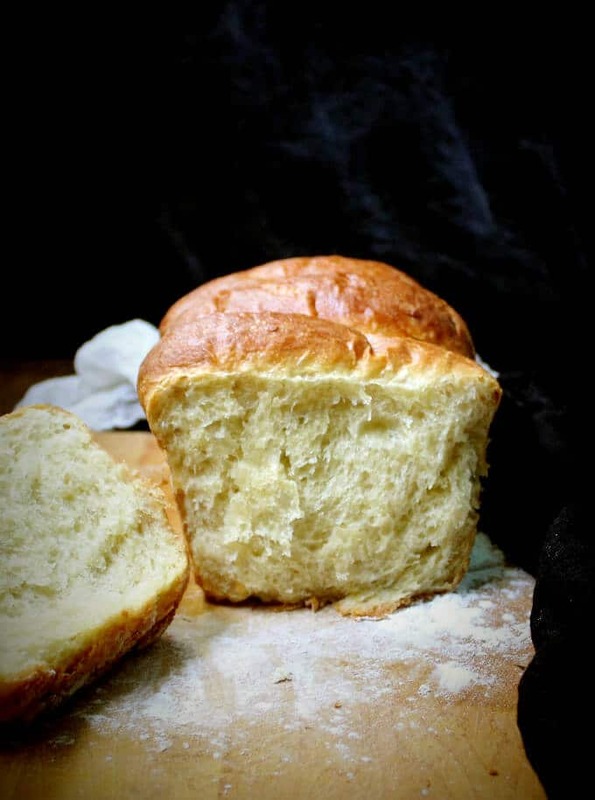 While making a brioche, you beat in the fat after the dough has been mixed, and when you’re mixing in butter, which is semi-solid at room temperature, the process goes by quite smoothly. But when I dumped in the olive oil, my dough just flapped around in a pool of oil for a long time, giving me the jitters. Was my brioche doomed? Would I have to dump all that oil and make do with an unsatisfactory loaf, if it was edible at all? But I soldiered on and although it took all of 25 minutes in my KitchenAid on medium speed, the dough did, in the end, incorporate all of the oil. Ouf! I baked my brioche in a sectioned loaf, made by shaping the dough into four even balls and stacking them side by side in the loaf pan. But you have some liberty with the design of it. You can make smaller balls and put them in the pan, which would make a rater cute loaf, or you could simply bake the bread into a single loaf without sectioning anything. If you have brioche molds, use them to make 12 cute little brioche rolls with this recipe, but cut baking time down to about 12-15 minutes. I have been experimenting with aquafaba in my breads, and you might remember the recipe for my Chocolate Vegan Babka where I used aquafaba or chickpea brine (the stuff left behind in the can after you’ve taken out the chickpeas) in lieu of eggs with great success. 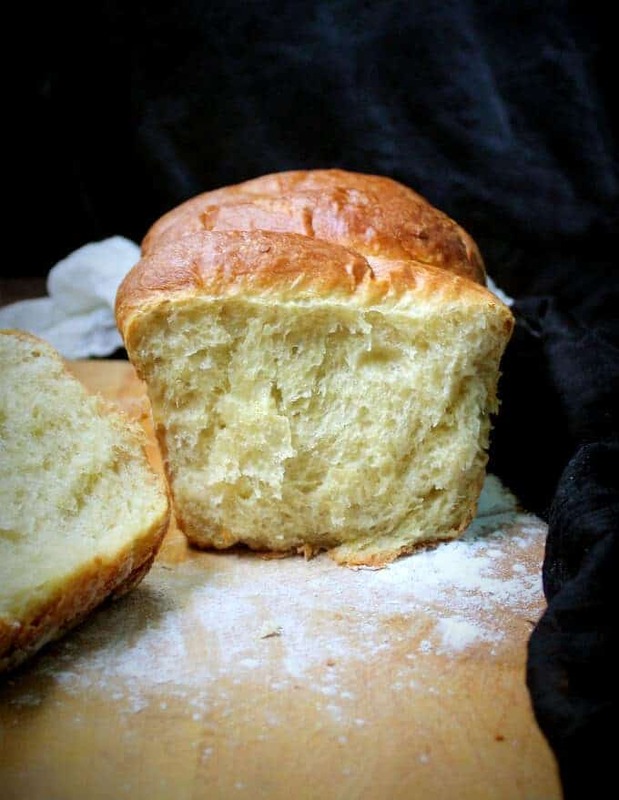 The aquafaba worked great in this brioche recipe too. In fact, I couldn’t have been happier with my decision. 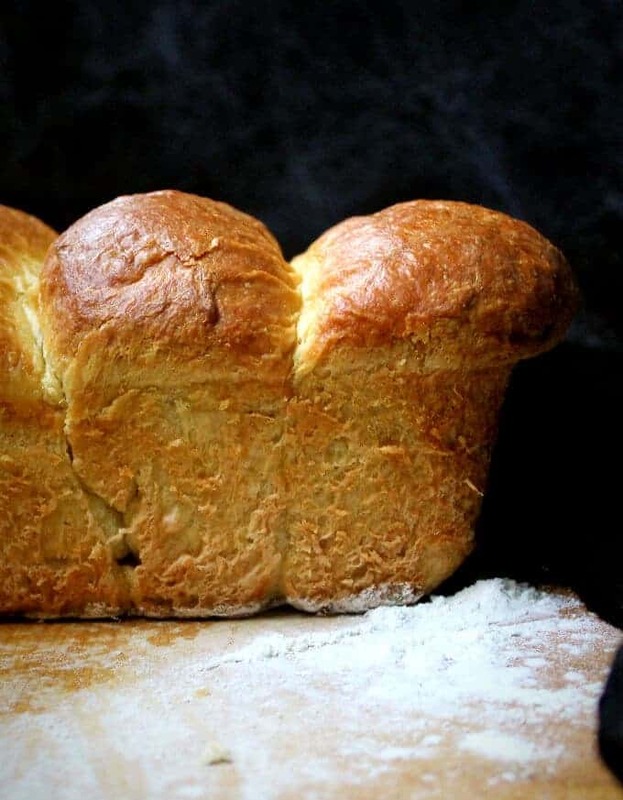 Here’s the recipe for my divine Vegan Olive Oil Brioche with Aquafaba. Hope you try, and bon appetit! Place the yeast and 1/3rd cup of warm, nondairy milk in the bowl of a stand mixer and let the yeast bloom, about five minutes. Add the all-purpose flour, aquafaba, sugar, and salt to the yeast mixture. Mix well on medium speed until everything is incorporated. Add the bread flour and knead for five minutes on medium speed or until the dough comes off the sides of the bowl and clumps around the dough hook. Add the olive oil and knead. It will look like there is too much oil in the beginning, but don't worry. Be patient and the dough will eventually begin to absorb the oil. It took me about 25 minutes on medium-high speed for all of the oil to incorporate. When all of the oil is gone and the dough looks smooth again, scrape it out of the bowl and onto a lightly floured board. Form into a smooth ball. Place the dough into a large, oiled bowl (or back in the bowl of the mixer after oiling) and cover with cling wrap. Place in a warm place to rise for 90 minutes. After 90 minutes, the dough should have doubled. Punch it down and once again form the dough into a smooth ball. Place it back in the bowl, cover, and refrigerate overnight or for 8-12 hours. In the morning the dough should have risen again. If it's not doubled at least, let it stand outside in a warm place until it doubles. Otherwise, punch the dough down and shape into four even balls. Let the balls stand on the countertop, covered with a kitchen towel, for 10 minutes. Meanwhile, oil a standard eight-inch loaf pan. Place the four balls side by side in the pan so they are touching each other. If you want a shiny top, mix the remaining 2 tbsp milk with a tablespoon of aquafaba and some salt and apply to the top of the brioche. Do this once more just before putting the loaf in the oven. Once the loaf has risen and domed over the pan (about 90 minutes), place in a preheated 375 degree oven and bake for 30 minutes. Remove the loaf pan and let it cool on a rack until it can be handled. Remove the loaf from the pan and let it cool thoroughly on a rack. Serve. This is a rather sticky dough, so don't think you did something wrong if it clings to your fingers. It should come off easily, though. Use the exact proportion of ingredients recommended and make sure you follow instructions closely for good results. 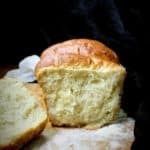 I do recommend using a stand mixer for kneading this bread, because the amount of oil you need to incorporate into the dough would make it rather time-consuming and tough to knead it by hand. Hi Christine, I investigated this a little further online, because I haven’t made a brioche in a food processor. Here’s what I would do: add the oil, aquafaba, salt, sugar and oil first with the 2 tbsp of milk, processing to mix well, and then add the yeast and the flour. Process until the dough comes together and turns stringy. Then proceed with the rise and baking as directed. Many who try food processor brioche recipes swear the results are pretty good. Since you’re new at breadmaking, I would advise sticking closely to proportions and rise and bake times, because a brioche is not the easiest bread to make. Good luck, and if you do try it, I would love to hear about your results. Your breads are always stunning, but now this! Can’t wait to make this. I plan to use the ‘dough’ function on my bread machine, and add ingredients in order listed. Thanks for the great recipe. A bread machine brioche! I love the idea and would love to hear how it turns out. Hey Vaishali, what is bread flour and what can I substitute it for? Would whole wheat or all purpose flour work? I don’t have a stand mixer either, but I’ll try your tip above with a food processor. This looks delicious! Hi Saranya, bread flour has a higher amount of protein which helps the bread rise– it’s usually used in bread-making, therefore the name. You can substitute with all purpose flour. 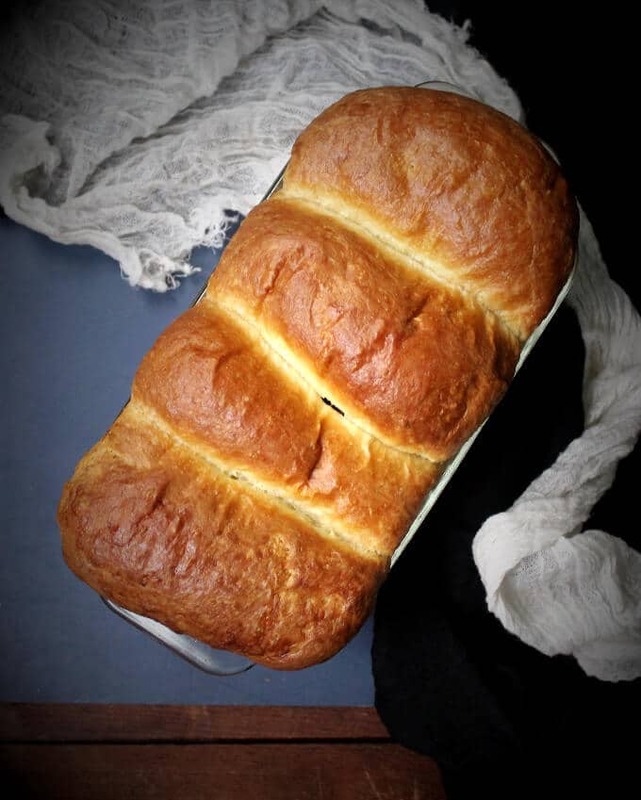 Hi Vaishali, I tried this brioche, and like you said it was a labor of love. 🙂 I too got the jitters when the olive oil wouldn’t incorporate, but it turned out okay in the end. The loaf was fabulous– we couldn’t stop eating it, and it really does taste and feel exactly like a brioche. Thank you — you’re amazing! Do you use the dough hook or the paddle on your mixer? 🙂 i want to try this today!! I used the dough hook all through, but I’ll suggest a modification that might help, based on another recipe I just made. Use the dough hook to knead, and switch to the paddle to incorporate the oil. The oil should incorporate faster. Thank you! I will try it right now! Do you beat the aquafaba into stiff peaks before adding it? And if so, when you say “3/4 cup aquafaba,” are you measuring the liquid aquafaba or the beaten aquafaba? Thanks! Liquid aquafaba, please. No need to beat. This makes me happy that I don’t have to beat it, because I already have to mix the bread by hand. and yes it is quite tough to do it. I reached 10,000 steps on my steps tracker because of mixing and kneading the bread! 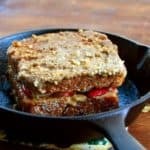 Do you think I could use vegan butter instead of olive oil (to make it incorporate faster)? 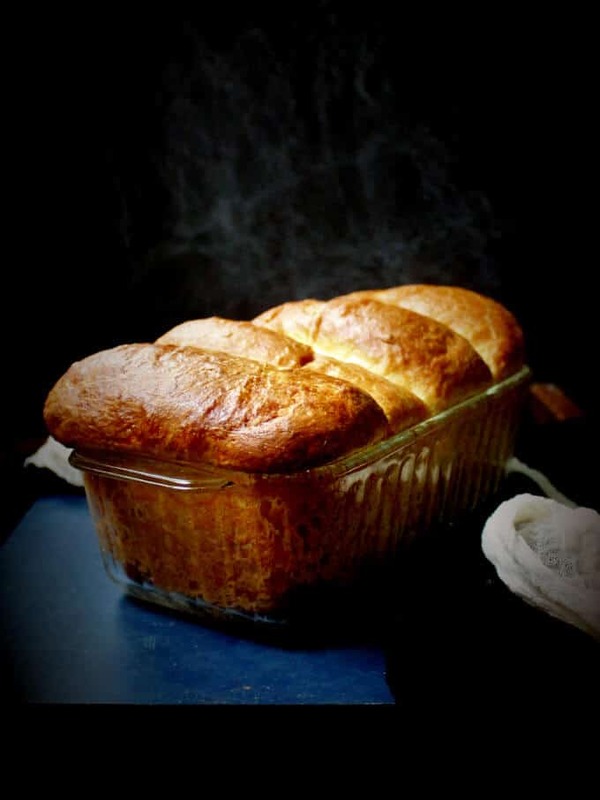 The brioche looks divine. If using butter, will it be the same qty as the oil? All purpose flour is same as wheat flour, does it need to be mixed with baking powder or baking soda? What is Bread flour? Non dairy milk? Does that refer to milk powder? Hi Khushboo, bread flour is a high gluten flour used for bread making. I thought all purpose flour is available in India now, but in any case it’s a refined wheat flour (not whole wheat). If you can’t find bread flour, use only all purpose, it should be fine. And non-dairy milk is milk that did not come from cows, so it’s plant-based milk like almond milk, rice milk, and soy milk, among others. Cheers. This looks amazing!!! I’m so going to try this. Hello Vaishali and thank you for the recipe. In the ingedients you say “1/3 cup + 2 tbsp nondairy milk” but where do you use the 2tbsp??? Add all at the same time! Hi Katie, wholegrain flour would certainly make the bread more dense and it would not rise as much. You could try doing half wholegrain and half bread flour. Let me know how it turns out if you do! Hi. If we do go with the vegan butter, should it be at room temp? Do you have an idea how to proceed with it in a stand mixer? 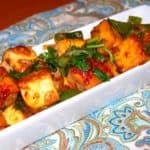 One other question–when I save online vegan recipes, I copy and paste the recipe, itself, including the URL and any pertinent tips, into a WORD document. Copy and paste cannot be done on your page, unless one copies the ENTIRE page–and then we have to delete everything that is not the recipe–it is really a lot of work. Is there any way to make your page more user friendly in this regard? Yes, the butter should be soft and at room temperature, but not melted. The instructions in the recipe are for a stand mixer– proceed with the butter as instructed, instead of oil. 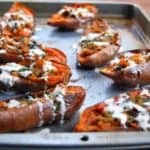 On copying the recipe, I just tried copying this recipe only to a Word document, and I could do it, so I am not sure why that’s happening for you. But here’s an idea: hit the print recipe button at the top and once you see the recipe, copy and paste from there. Let me know if that helps. Cheers. Yeast is not vegan ! Yeast is in fact vegan and belongs to the fungus family. Vaishali, for the third rise prior to baking when the 4 dough balls are placed in the pan, should it be covered? Can I just let it rise out on the countertop? Or back in the refrigerator it goes? Thank you! I like covering it so the top doesn’t dry. I use a shower cap so it gives the loaf enough room to mushroom! A shower cap!? Great idea! Countertop is fine? Thanks, Vaishali! You’re a gem. Let it rise in a warm place. Countertop is fine if you have warm weather. In cooler weather I’d put it in an unheated oven with the pilot light on. 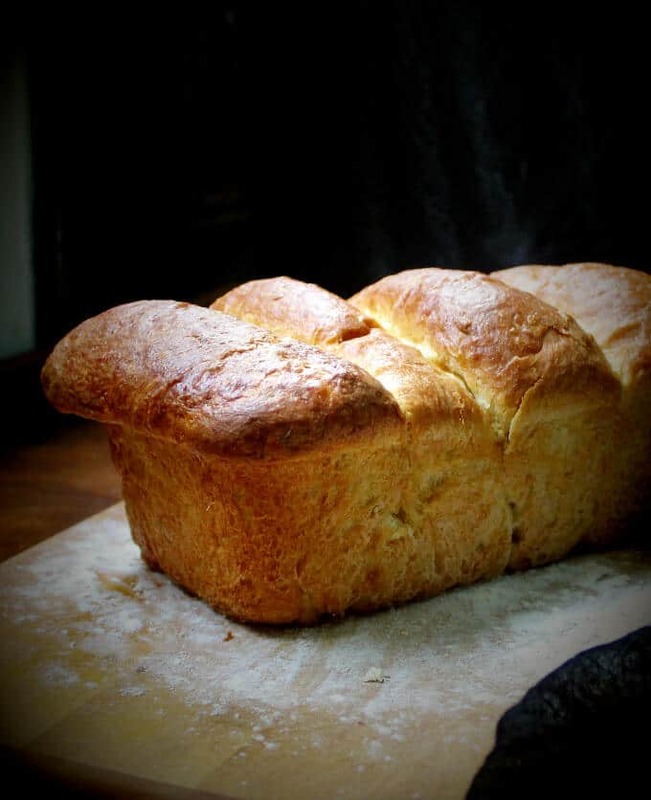 How long does this bread stay in the freezer or fridge using aquafaba? This is a new ingredient and I’m not sure if its going to hold up. What in the world is aquafaba? Chickpea brine. The liquid left over after you take the chickpeas out of the can. I recently found your site and just finished making this brioche and I’m happy to say it is wonderful! I had two minor issues when making the recipe. First, the dough did not rise very well after removing it from the fridge. I waited for approximately 2.5 hours for it to rise to the recommended height (still did not get over the pan.) Do you have any idea why it would not rise as your recipe suggests? The other thing is that I did not know when to add the extra 2 T. of milk. After reading the comment section I see that it should have been used with the original 1/3 cup. I made it without, so maybe the brioche would have come out lighter and fluffier than it did. All in all, I’m very pleased with the outcome and I look forward to trying out more of your recipes soon. Barb, yes, use all of the milk at the same time. The dough may not have risen much because of the temperature in your kitchen, or it’s possible that your loaf pan has different dimensions. I have pans that, although they hold the same volume of dough, are differently shaped– one is broader and the dough will not dome over the top as much as it will with the other. Hi, thank you for the recipe. Do you think this mix will make burger buns too and if so, less time for baking? Thank you so much for this recipe! So easy and the brioche was just fantastic! Zane, that’s great to know. Thanks! is the dough too wet for burger buns? I am sure you are in fact sick of questions about substitutions….. but I am hoping I could sub the flour for almond meal and the bread flour for vital wheat gluten…. I am vegan and keto low carb if you have anyh different suggestions… Thanks!! Hi Alexandria, that’s an interesting idea. The almond flour has no binding ability of its own, so important in a bread, but on the other hand the vital wheat gluten should help with binding. I have not tried this and I cannot say for sure how this would work, but it might be worth trying. If you do, let me know how it works out. Do I have to let this rise in the fridge for 8-12 hours? can i instead let it rise twice in a warm spot prior to the third rise?? 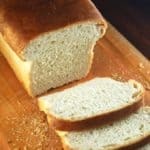 I would like to use your brioche ideas for other traditional brioche based recipes. How much aquafaba replaces 1 egg and similarly how much olive oil replaces 1 tbsp of butter. Also, regarding butter to olive oil replacement. Did you every consider replacing butter with coconut oil since it is similarly semisolid and may work better in sweet recipes (like cinnamon rolls). 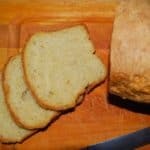 Can I use a Cup for Cup Gluten Free Bread Flour with this recipe? I miss Brioche so much!!! Hi Liza, That should be fine. Hi Vaishali, for the Aquafaba did you use straight chickpea liquid or did you add cream of tartar to it as well? No need for cream of tartar! Hi! So happy to find some recipes to use up my aquafaba. 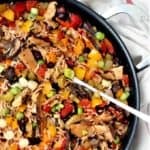 Do you think this would turn out well with brine from cooking chickpeas rather than from canned? Also, I do not have a stand mixer, can I use a hand mixer or is there a better method? Thanks! A hand mixer is fine with a dough hook, but it will prob take a long time to incorporate the oil and the dough so be prepared. 🙂 And you can use homemade aquafaba but be sure to reduce it to a consistency that’s thick and viscous, the way the brine from canned chickpeas is. Hi! I made this Brioche this week. It looked raw in the centre after 30 minutes so I returned it to the oven for a further 15Mins and it turned out great! Very tasty. Would you please tell me the name of the best olive oil is?? The Brand. Thanks. I made this into Hamburger Buns. I was very skeptical about the amount of olive oil but proceded with the recipe nonetheless. They turned out beautiful ( I wish I could post pictures!). I can taste some oil on them though. Perhaps because I’m very sensitive to salt and oil OR maybe it could be toned down by 1/2 cup instead of 3/4 cup. I’ll have to try again. Regardless, thank you for the recipe and let me know if you want my pictures. Brisa, that’s good to know– so happy you tried. I just finished the Vegan Olive Oil Brioche, I saw in your notes that the number of of dough can changed from 4 to your choice. I made eight, and it don’t go well, it seems too dense. Should I have changed baking time? It looks pretty good, disappointing to say the least. Would appreciate if you’d let me know what I did weong, if you know. I may try it again, haven’t decided. If you followed instructions precisely, the recipe should work just fine. Did you knead for as long as all of the oil was absorbed into the dough? And while dividing it into too many sections is probably not great, it shouldn’t create a dense loaf. Also, what kind of an oven are you using? It’s possible your oven temp could be off. Simon, can I ask how you made the buns? I gather you aren’t supposed to handle the dough too much or divide it too much. Also, did you use some sort of form, or just hand form them into bun shape? I am dying to make a vegan brioche bun and I need answers lol. Bread is delicious but heavy on the oil and it’s quite a heavy feeling after eating it. Have you tried using less oil? Results? I tried your Butterless Avocado Brioche recipe 11/17 and it was so sticky, that I could not work with it. Please tell me what I did wrong. Just want to say thanks for this recipe. I have made it twice now with excellent results. Has anyone experimented with using less oil? I would like to reduce the fat in this but I don’t understand what purpose the oil serves, and what impact less of it would have on the final product. I love this recipe. I’ve made it five times at this point. It’s so good! Its actually a pretty easy recipe if you have a standing mixer. Recipe calls for 1/3 plus 2 T nondairy milk. The instructions only mentin 1/3 cuo. Where are the two ts used? It’s for the wash that goes on top of the brioche. I’ve clarified. Olive oil will begin to solidify in the refrigerator. Maybe if you chilled it (possibly in the freezer) you could get it solid enough to incorporate during kneading before it completely melted? Just a thought. I plan to try myself and see what happens. Alternatively you could make yourself an olive/coconut oil blend (saturated fat, I know) that might behave more like butter. this recipe looks really good: i‘m not able to digest wheat wheat though am going to try the recipe with buckwheat flour & in place of the baker‘s flour: chickpea flour. Thanks for this great recipe!! I live in Italy, and when I find a recipe with US cups system I normally skip it, since nobody likes to spend hours converting every single ingredients in metric system ! !ah ah ah.